Ana Dutra was formerly the CEO of Mandala Global Advisors. In addition to her corporate leadership roles, she is a Director in the Boards of Greeley and Hansen, Humantelligence, the International Women Forum, Children’s Memorial Hospital of Chicago, Chicago Philharmonic Society, Governor State University and Academy for Urban School Leadership. She is on the Kellogg Alumni Advisory Board, in the Economic Club of Chicago, the Committee of 200 and the Chicago Council on Global Affairs. She is fluent in Portuguese, English, Spanish and French and is a frequent speaker in the Global Competitiveness Forum, World Economic Forum and other Global Conferences. She is frequently featured in the Harvard Business Review online, Forbes blog, WSJ, CEO Magazine and other publications. 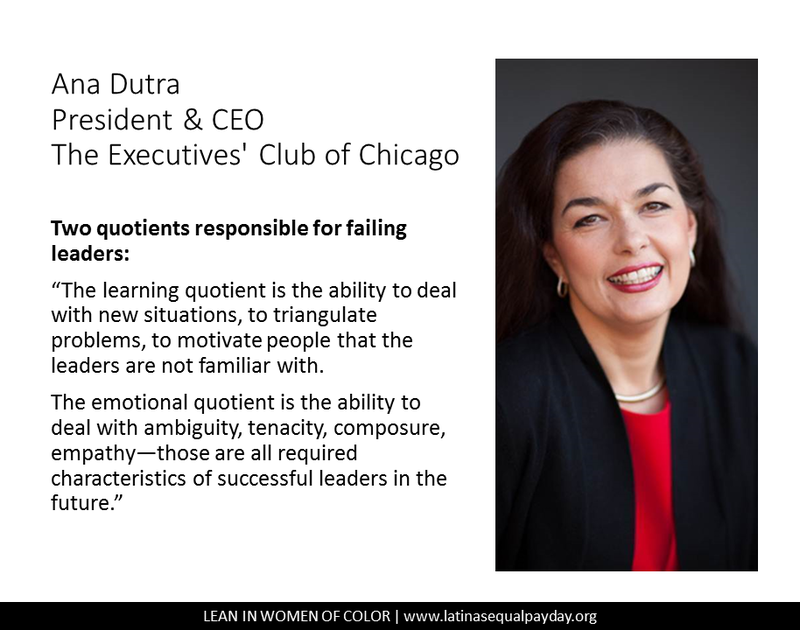 The Latinas Equal Pay Day Commemoration Project features women with Hispanic or Latino ancestry who have leadership stories to tell and aims to inspire other women with a mission to close the pay gap. 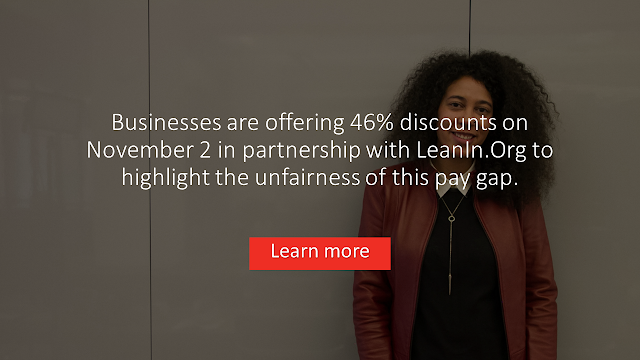 Lean In Women of Color is an independent organization, affiliated with LeanIn.Org, which works closely with Lean In.Org to further its mission, and is licensed by LeanIn.Org to use the ‘Lean In’ name. Copyright © 2017 Latinas Equal Pay Day Commemoration Project. Powered By Blogger.